Today’s post is sponsored by Armitron and Style Watch. All opinions expressed are my own. The holidays are the best time of the year, don’t you think?! People are in wonderful spirits, families are together, friends reconnect, and you can just feel the joy in the air. But you know what else comes with the holiday joy? Hustle and bustle. Keeping it all together can be challenging when you are trying to balance parties, shopping, school activities, etc. Time management isn’t easy on a normal day but throw in the holiday season and it’s mad chaos. However, if you try and stay on schedule and allow yourself some wiggle room, you’ll be much less stressed. When it comes to my wardrobe through the holiday season, I try to find pieces that can easily transition from day to night. 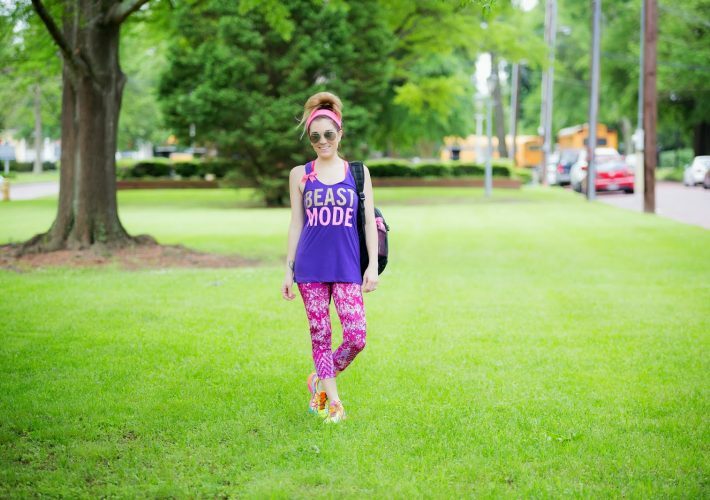 Sometimes I’m running around all day and barely have time to change between activities. 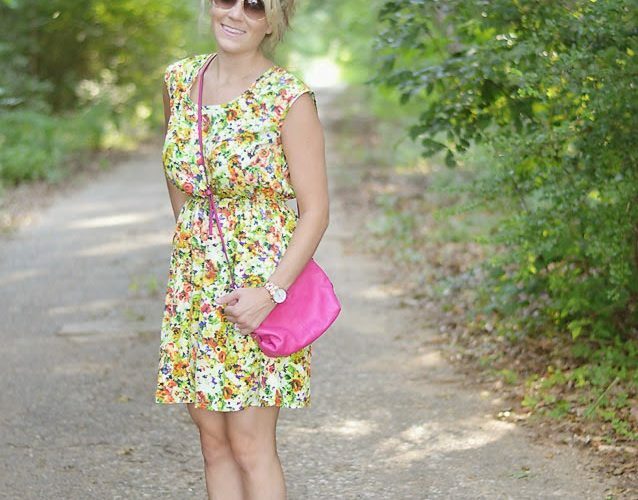 Finding tops that can be dressed up or down, shoes that can easily transition from day to night and watches that can be worn for any occasion has always helped me stay on track and has taken the guesswork out of those “oh my gosh, what am I going to wear? !” situations. While we’re on the topic of time management, let’s talk watches. I’m usually an oversized watch kind of person but I loved the unique band on this Armitron watch. It is casual enough to wear for all of my day-to-day activities and classy enough to wear to any of my formal events. 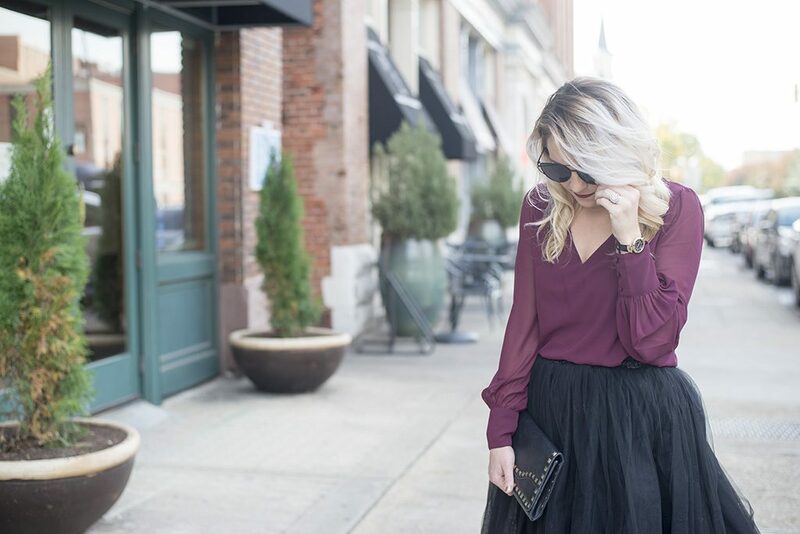 I’m styling it here with a plum top and black tulle skirt, perfect for a holiday party! 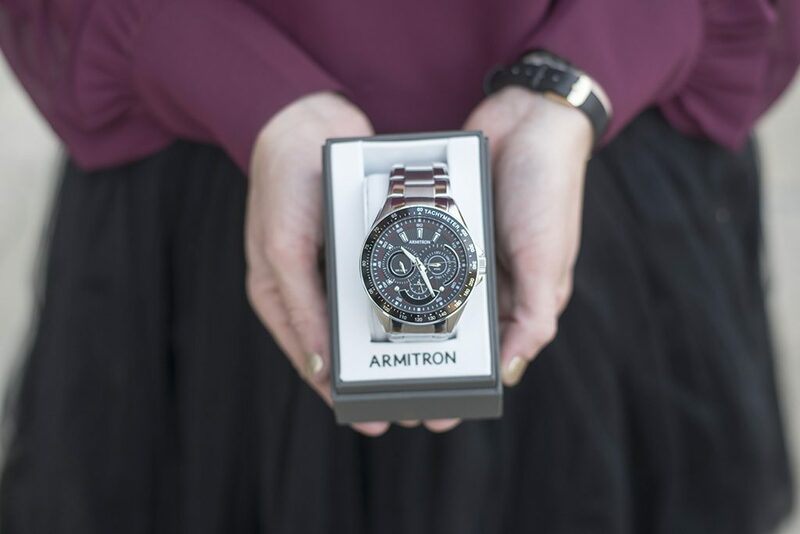 No one has it all together during the holiday season and while your time management might not be on point, your style can be—Armitron has got you covered, my friends. Oh, and if you’re still looking for the perfect gift for the man in your life, the Mens watches are to die for. What a cute holiday outfit. Love love the skirt because it’s gorgeous. Who doesn’t love tulle?? That watch is so unique! Also I love the black tulle with the wine colored top. Very sophisticated. Cute watch! I’m also really loving that skirt. Love how you styled this look. I love everything about your outfit! Gotta have a tulle skirt and the color of your top is so pretty! I’m a big fan of that wine color for fall and winter. Those shoes are really cute too! So cute! Love that skirt and top. Gotta find something like this for the company Christmas party! 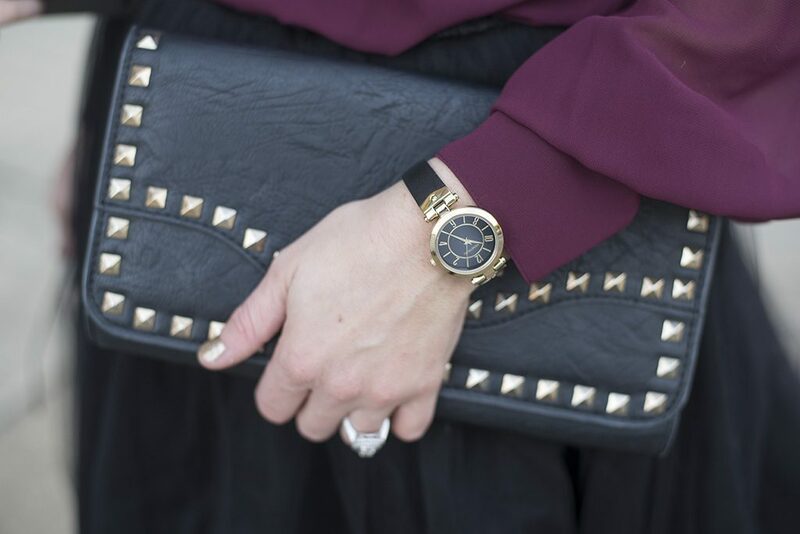 Loving the tulle skirt and of course the watch! 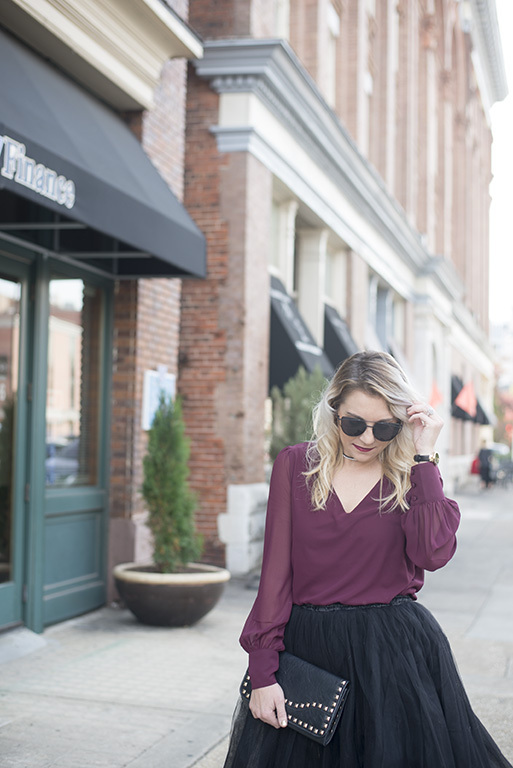 I do love a tulle skirt…this is a beautiful holiday look! Also…gorgeous gold nails! I love the tulle skirt and clutch! So festive for the holidays!